Essentially light therapy is a way to treat seasonal affective disorder by exposure to artificial light. Statistics show it benefits around 80% of people. You sit two to three feet away from a specially designed light for around 30 minutes to an hour, preferably each morning. It gives off a bright light that mimics the sunlight that is missing in the darker winter months. This in turn sends nerve signals to the brain which then produces serotonin which helps improve things such as your mood and appetite. To be effective, light from the box must enter your eyes indirectly, ie don’t stare at it! 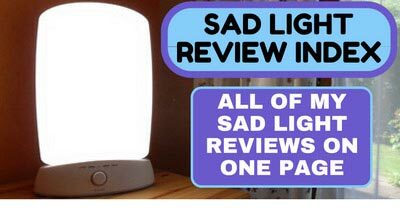 You could set your SAD light on a table or desk in your home or office. Then you can read, use a computer, write or eat, etc, etc, while having light therapy. The lights used in light therapy are very safe and there is no indication that they can cause any damage to the eye. They produce a very small amount of ultra-violet light, much less than normal daylight, so there is again no risk to the skin. Evidence also suggests that light therapy is safe during pregnancy. However if you have major eye problems consult your doctor or an eye specialist first before undertaking any form of light therapy. Although it doesn’t work for everyone, there is substantial evidence showing that light therapy can be effective – it is thought around 8 in 10 people suffering from SAD improve with light therapy. The consensus is that light therapy is most effective if undertaken early in the morning. How quickly does light therapy work? Many people notice an improvement within three to four days, but in some cases it can take four to six weeks for symptoms to improve. It is important that if you notice an improvement you keep up your light therapy treatment. Are there alternatives to a SAD Light? There are several ways you can help yourself that are outlined on the What is Seasonal Affective Disorder page. Something that can be used in conjunction with a SAD Light is a wake up light/sunrise alarm clock. What is a wake up light/sunrise alarm clock? Some people use a wake up light instead of, or in addition to, a light box. Wake up lights, also known as sunrise alarm clocks, are effectively alarm clocks that wake you up slowly by gently increasing the room light. They gradually come on in the early morning over a period of around 30 minutes at the time just prior to when you normally wake up. The idea being that they mimic the effect of you being woken by the sun rather than the shrill piercing noise of an alarm! 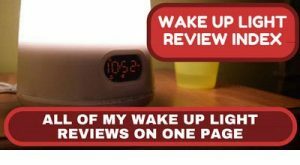 See the Wake Up Light Reviews section for more details. 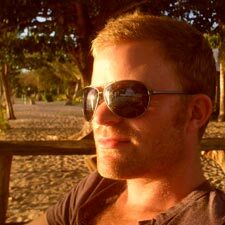 How do I make sure I get the most out of light therapy? See the Choosing a SAD light section for more details. Try your very best to do light therapy EVERY day, set a routine of sessions and stick to it. Consistent use will give you better results.